Maryland wines have scored big in a recent report by The International Wine Review (IWR). 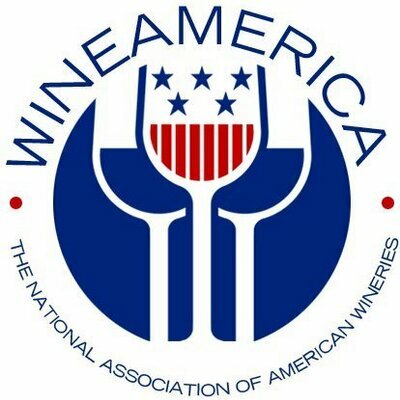 s”The continued focus on our wine by international wine media is further proof of the world-class wines being produced in Maryland,” said Kevin Atticks, executive director of the Maryland Wineries Association. The in-depth report on the Maryland wine industry presents the history, growing regions, wine styles and grape varieties before reviewing over 50 “premium wines” from “top wineries” across the state. IWR independently visited and collected wines directly from wineries. The International Wine Review (IWR) was launched in 2005 to provide the wine trade (importers, distributors, retailers, sommeliers) and wine enthusiasts, with current, accurate information regarding important wines and regions of the world. Our publication is not just a list of wines with scores; we provide insight and understanding of viticulture and winemaking, appellations, wine styles, pairing food and wine, and market issues. Learn more. What’s the secret to great wine? Passion. With deep-seeded roots, Boordy Vineyards has been devoted to making delicious wine for more than 70-years. Founded in rebellion and strengthened through family, Boordy has a rich history that led to the success it is today. With the fourth generation of Defords on the rise, there looks to be no signs of slowing down for this winery. We got a chance to catch up with Phineas Deford from Boordy Vineyards for this installment of Cellar Chats. Boordy Vineyards has an interesting history. When did the winery/vineyard start and how to it get to where it is today? Boordy was unofficially started as an act of civil disobedience during Prohibition but was formally bonded as a winery in 1945 by Philip and Jocelyn Wagner on their farm in Riderwood, MD, located inside Baltimore’s city limits. My grandparents, Robert and Anne Deford, were good friends with the Wagners; they spent many evenings together drinking wine around the dinner table. The Wagner’s convinced them to grow grapes for Boordy as a way to diversify their farming operations and, in 1965, the first 5 acres of grapes were planted on our farm, Long Green. In 1979, as the Wagner’s were nearing retirement, my grandparents, together with my father and aunt & uncle, purchased Boordy. My father left for California to attend the enology program at UC Davis and, upon his return the winemaking and vineyard equipment was moved to Long Green Farm and Boordy re-opened its doors for business in our 19th century stone bank barn. The ensuing decades have seen a steady trajectory of improvements to the winery and vineyards with the goal of producing top quality wines. A key to Boordy’s enduring success is its staff, many of whom have been with Boordy for a decade or more. Your website mentions loving your home farm and being planted in a good location. How important has your location been to not only your wine but your family business aspect as well? Long Green Farm has always been the lifeblood of our family. There are currently four generations of Defords living here, from age 2 to (nearly) 102, and three family residences. It’s a gathering place for holidays and celebrations. We walk and ride on horseback across its fields and through its streams. We hunt game and forage for mushrooms and wild asparagus. Long Green Farm is the reason why Boordy Vineyards exists here today, and why we work so hard to make Boordy a successful, profitable business. 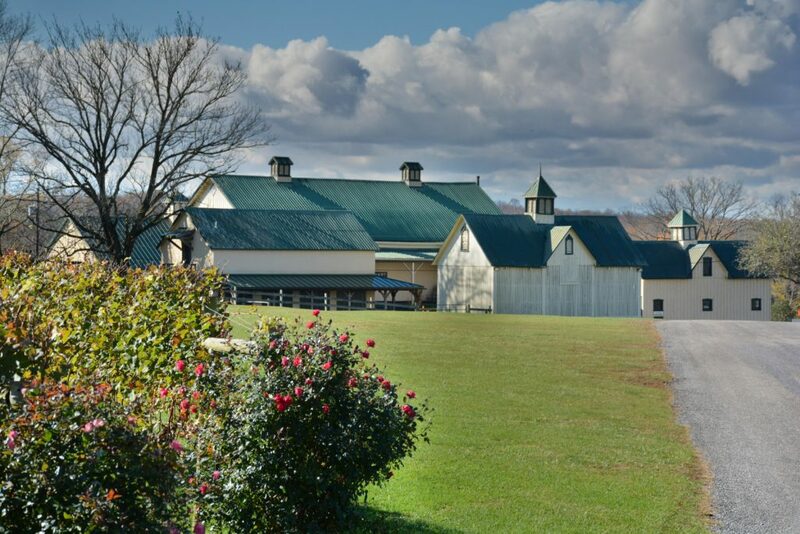 Our farm is located in the Long Green Valley of northern Baltimore County, about halfway between Towson and Bel Air and 30 minutes north of Baltimore City. The Valley consists mostly of preserved farmland, and I think our customers appreciate the “world apart” feeling they get when visiting the winery. They come for the wine and stay because it’s a beautiful place to kick back and relax with friends and family. We have planted about 20 acres of vineyards at Long Green. Over the years we have found that the strength of this site is its well-drained schist soils which yield aromatic, crisp white wines like Pinot Gris and Sauvignon Blanc. What is the history of the property where Boordy Vineyards is currently located? Long Green Farm was established in about 1720 by James Gittings, the original settler of Long Green Valley. Each successive generation has farmed this land in one way or another. Our family came to the farm in the mid-1800’s by marriage to a Gittings descendant. Before planting our first vineyard in 1965, my great-grandfather and grandfather were livestock, poultry and produce farmers. They grew grain to feed the animals, raised black angus cattle, pigs, chickens and turkeys. Each spring 2000 turkeys would arrive as tiny chicks, and they’d be ready by Thanksgiving! When she was young, my aunt had a knack for getting them all to gobble in unison. It must have been quite a show! Preservation and intent seem to be in the forefront of decisions made at Boordy. What benefit does that respect for heritage provide for a company and brand as time passes? Long Green Farm and Boordy are reflections of our commitment to our heritage and our environment. Aside from placing the farm in permanent preservation with the Maryland Environmental Trust, we’ve gone to great lengths to encourage biodiversity on our property and to preserve the historic buildings. We’re extremely proud of our long history in Maryland, and of our accomplishment in making Maryland’s first winery an ongoing success. We believe that our 55 years as grape growers and winemakers is the strength of our brand, which – coupled with a great customer experience – are what keep people coming back. How difficult is it to maintain Boordy’s deep-seeded roots while you have expanded your vineyard and look to continue moving forward with the demands of a modern winery? We have tried to remain true to those aspects of Boordy’s rich history that are timeless and enduring: craftsmanship, quality, value, and a collaborative spirit, while striving for continuous improvement. Strategic planning takes up a lot of our bandwidth. Not a day goes by without a discussion about improvements to our wines, our grounds, our operations, or the “visitor experience”. Symbolic of this is our approach toward maintaining the integrity of historic buildings while retrofitting them for modern use, which is expensive and difficult. Even when we build from scratch, we honor tradition by making the building look like it’s been here forever. Our new winery, which was completed in 2013, was designed to look like a 19th century barn. One of the highest compliments we get is when visitors ask us where the winery is, and they’re standing right in front of it! The Boordy Vineyards’ website mentions radical changes to the vineyard in the pursuit of quality, what types of changes have made a significant difference? Boordy farms two vineyards: Long Green Vineyard on our home farm in Baltimore County, and South Mountain Vineyard in Frederick County. In 2006, we began an extensive replanting effort at both locations. New varieties, clones and rootstocks were brought in. Vines were planted at a higher per acre density, and each variety was carefully matched with the soil profile for which it is best suited. In the end it took us 14 years to re-plant 45 acres, but the results have been astounding. As we reached the final phase of re-planting, we constructed a new winery building which was completed in time for the 2013 vintage. This, too, had a dramatic impact on the quality of our wines. The many awards our wines have won in local and national competitions are a testament that these investments have paid off. Your Chesapeake Icons and Landmark Series show great appreciation to Maryland and reflect both the geography and the culture. How did the idea for this tribute come about? Ironically, the labels in both series are the work of a leading Australian wine label designer, Ian Kidd. Part of Ian’s due diligence was to fly to Maryland and spend a week getting to know our farm, as well as other parts of Maryland. What he observed really made an impression on him; the historic buildings on the farm are obviously the inspiration behind the Landmark labels, but he also developed a real appreciation for the iconic fish and wildlife that are native to the Chesapeake Bay. What impact does hosting events at the winery have throughout the year? Joy and the celebration of life are natural companions to wine and are integral to the Boordy visitor experience. We want people to know that on any weekend they can come to Boordy for a winetasting, then stay to listen to some great music, enjoy good food from a guest caterer, and have a relaxing day in the countryside with family and friends. Plus, aside from the positive energy that our events bring to the farm throughout the year, they serve as the best form of advertising for our wines. Are there any future releases, or innovations in the works? Look for a new 2018 Rosé package to be released soon! This interview and article was conducted by Quinn Luethy, staff intern.